No need for a Nike Fuelband or Fidbit. 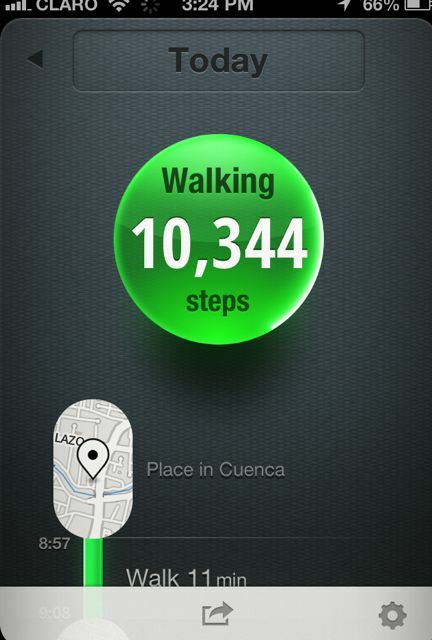 I have been using Moves (Free App) on my Iphone for a week and I’m delighted with the results. Moves works in the background when it is in your pocket. It does this by acting as a pedometer. 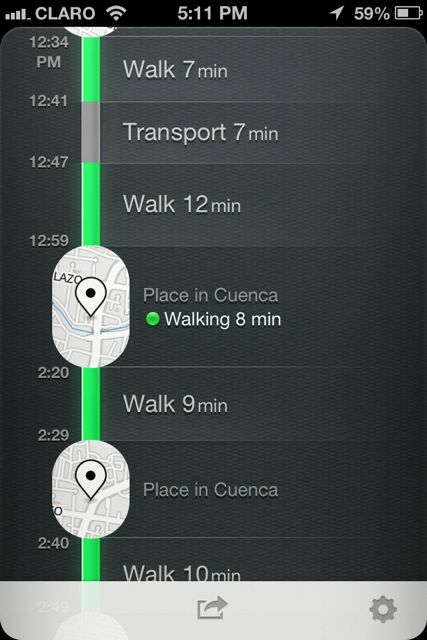 The app logs walking and running activity — and it’s also apparently smart enough to recognize when you’re cycling. Moves also automatically keeps track of your location and puts together a list indicating where you’ve been and how much exercise you’ve managed each day. It does all this while running in the background, so you won’t need to open the app every time you’re about to head out for a walk or run.